Astrobiology in the Copenhagen group has mainly been concentrated around the study of exoplanets; their habitability and their similarities and differences from the planets in our own solar system. Since 2002 the Danish telescope at La Silla, Chile, has participated in a coordinated, extensive, international effort to characterise the population of solar system like planetary systems around other stars. It has been possible through this effort to now put strict statistical limits on the number of stars with Jupiter-Saturn-like exoplanets in our Galaxy, and the group is pushing this study to Earth-like systems by the establishment of a new network of semi-automatic telescopes. In 2006 the group discovered the first Earth-like exoplanet; a 5.5 Earth-mass planet in an orbit twice the size of Earth's orbit. We have also been involved in theoretical studies of the formation of the solar system, and criteria of habitability. 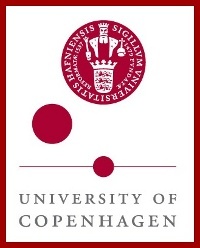 A well-attended graduate course in astrobiology has been given at Copenhagen University since 1996.